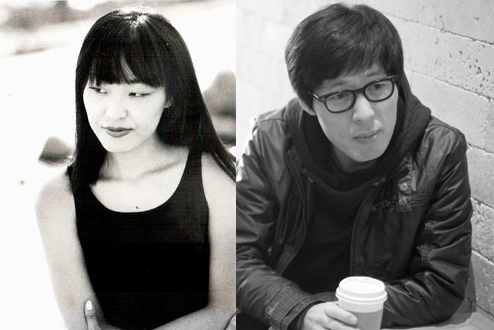 Colin Marshall talks with two of South Korea’s best-known novelists, Bae Suah and Cheon Myeong-kwan, as they visit Los Angeles on a trip with the Literature Translation Institute of Korea. Bae’s Nowhere to Be Found and Cheon’s Modern Family have both recently appeared in English translations. Colin also speaks with the Translation Institute’s president, Kim Seong-kon, who gives us an introduction to these writers and places their themes in the context of modern Korean literature. You can stream the conversation just above, listen to it on the LARB’s site, download it on iTunes, or read a bit about the experience of recording it here. This was written by Colin Marshall. Posted on Thursday, August 6, 2015, at 8:15 am. Filed under Korea, Los Angeles Review of Books. Bookmark the permalink. Follow comments here with the RSS feed. Comments are closed, but you can leave a trackback.